This M4 Sherman tank helped liberate Paris in 1944. If your SUV is no longer tough enough, don't worry. You can now buy a genuine World War II tank. A collection of 120 vehicles, including tanks, armored cars, motorcycles and warplanes, is going under the hammer in France on Sunday. Auction house Artcurial said each of the vehicles played a role in key moments of the war, from the D-Day landings and the battle of Normandy to the liberation of Paris. Hundreds of other military artifacts, including helmets, uniforms and other equipment, are also being auctioned. 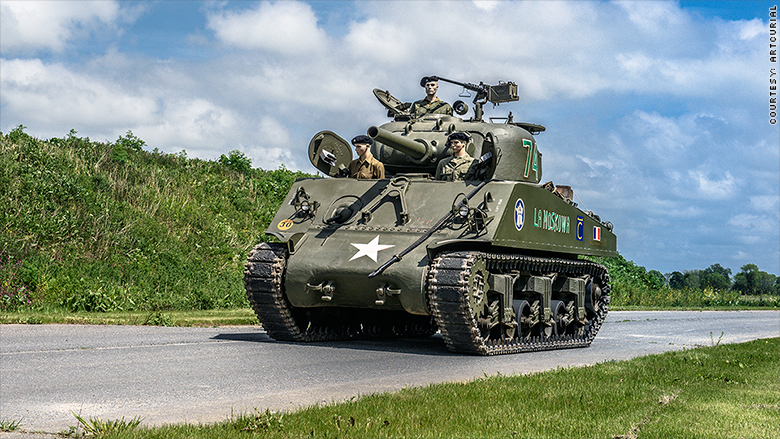 The centerpiece of the auction will be a M4 Sherman tank, expected to fetch up to $440,000. The vehicle, which is in working order, was one of the tanks used in the battle for Paris in August 1944. This 1944 M24 tank was involved in the Battle of the Bulge. 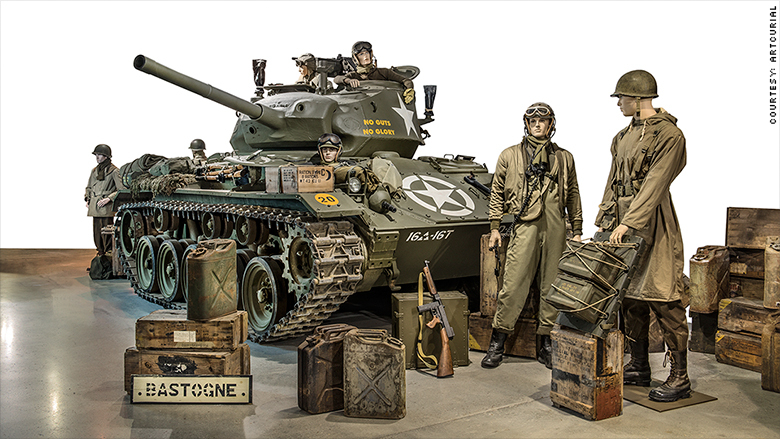 An M24 Chaffee light tank used in the Battle of the Bulge, the biggest battle the American army fought in the war, is also going under the hammer. It is expected to be sold for up to $275,000. The tanks were originally on display in the Normandy Tank Museum. Museum founder Patrick Nerrant built the collection over decades, restoring many of the vehicles to working order using original spare parts sourced from all over the world. 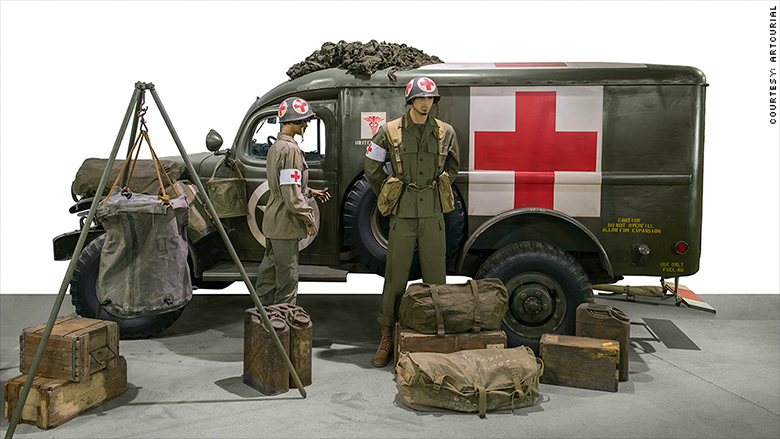 This 1942 ambulance belonged to the U.S. Army's Medical Corps. But he and his sons have been forced out of business by a slump in visitors to the museum just three years after it opened. French tourism suffered a huge hit after a series of terror attacks and transport strikes. Visitor numbers to France dropped 8% in the first quarter of 2016 compared to the same period last year, according to market research firm Euromonitor International. The tank museum was no exception. "Between the attacks, strikes, the gasoline shortages, weather and floods, the visitors we expected did not come," Nerrant said in a statement. He is now planning to retire.